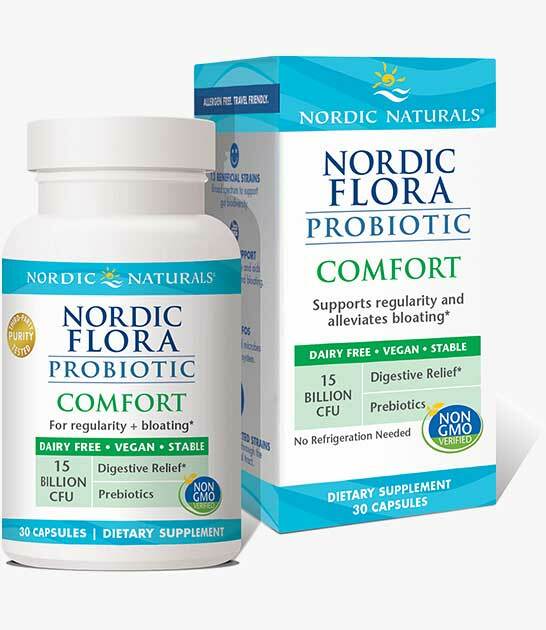 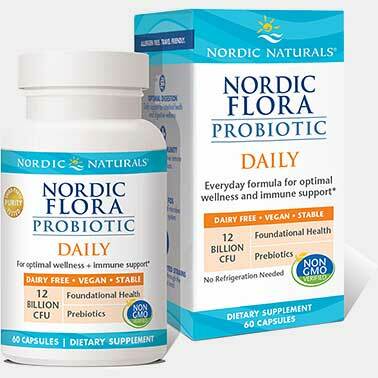 Nordic Flora Probiotic Comfort is a broad-spectrum probiotic formulated specifically for people with digestive issues or food sensitivities. 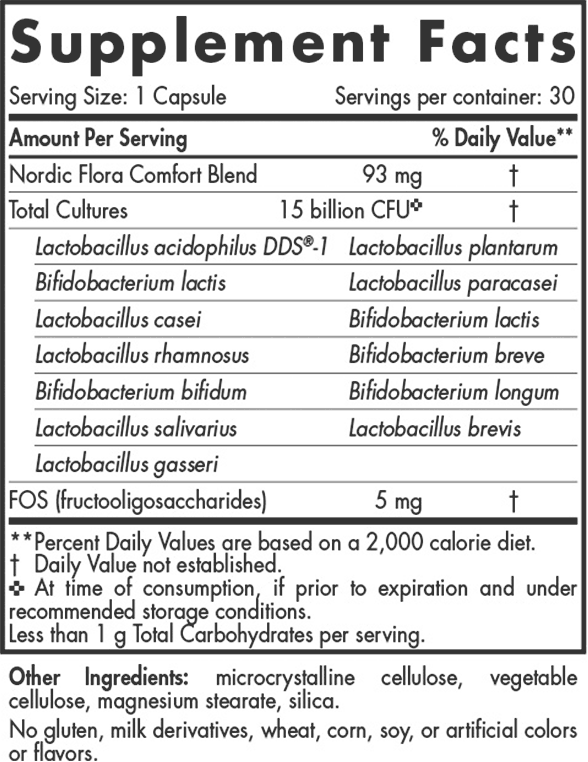 It blends 13 different probiotic strains—including the powerhouse Lactobacillus acidophilus DDS-1—and 15 billion live cultures to help promote microbial diversity and rebalance your gut flora. 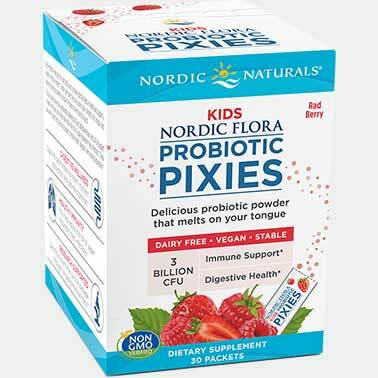 * All the strains included in this potent probiotic are proven to survive passage through the GI tract, so they can reach their target destination—your intestines—intact. 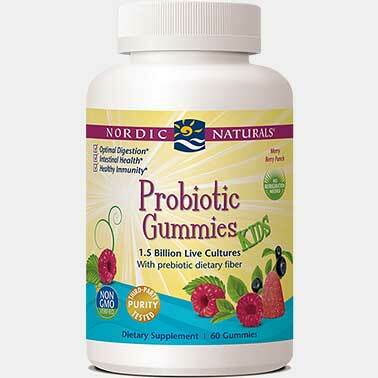 * Added prebiotic fiber serves as food to help these beneficial bacteria thrive. 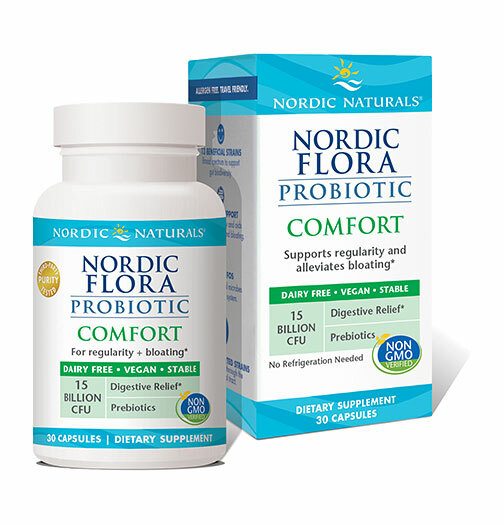 SUGGESTED USE: One capsule daily, with or before a meal, preferably in the morning, or as directed by your healthcare professional or pharmacist.